I'm cooking the Noma dishes this week and will blog about them shortly. In the meantime, here's a video of my little Christmas caroling escapade at The White House. Big props to Cassie and Lucas for joining me in song... and special thanks to their family for letting them do it. They were visiting Washington from out of town and were amazing sports for letting me, a total stranger, rope them into being a part of this fun little event. Somersaults at the Capitol Building coming soon. And a reminder: donating to Share Our Strength enters you into a drawing to win a dinner for four at Alinea, among other amazing prizes. p.s. -- Thanks to Chris Wilson for being my camera guy. In just one week, we've nearly hit the $5,000 mark. When I got the news, I "YEAH"d really loudly in a client's office, and then burst into tears ('cause I'm a big old softie when you get right down to it). Thanks also for your emails about families you know who are suffering this year and what you're doing to help... and about the food banks you volunteer for that are seeing a more than 400% increase in need... and how much more you're thinking about this problem in our country and what you can do in your own communities to help others. While I do love living and working in Washington, there are times it can be a really self-involved city that plays host to a lot of mean-spirited, political, back-stabbing nonsense. So, these emails and donations mean more to me than you could ever know, and continue to renew my faith in humankind. You guys are amazing. When the team at Share Our Strength emailed me the list of donors yesterday, I removed the names of family and close friends, then asked my Twitter followers to pick a number between 1 and 43 (the remaining number of donors who've given so far), with the 10th number Tweeted being the donor number I'd give a special little prize to. The 10th Tweet back to me was the number 27, and on line 27 of the donation list was a gentleman by the name of Carl, from Massachusetts (I'll withhold his last name to maintain some semblance of privacy), who is the lucky winner of an iTunes giftcard as a special thank-you from me for jumping right in and donating in the first week. That card is comin' your way, Carl. Enjoy, and thank you. I'm going to do a few little giveaways like this between now and when the campaign ends on January 16, so stay tuned. And the bonus? Winning one of these early giveaways doesn't exclude you from your chance to be randomly chosen to win one of the other amazing books, foodstuffs, and other prizes generous people have donated. All those items are listed here, and new things are being added along the way, including a Bryan Voltaggio bobblehead doll, courtesy of my friend, Emily, a fellow Washington-based blogger whose sharp wit, shiny hair, and penchant for TV snark makes her all the more lovable. I had the following milestone challenges all ready to announce on Tuesday, and then meetings and work crises popped up, so I'm only getting around to putting this post up now. Already, I see I need to cross one of these off the list, and it looks like we're getting really close to my having to light a candle and warm up the vocal cords for some outdoor entertainment for the Secret Service. $7,500 -- I will do a row of somersaults in front of the Capitol Building. $10,000 (our goal) -- I will dance along with the Wii videogame The Michael Jackson Experience. More than $10,000 -- I'm going to have to come up with something really juicy to get us past our goal, aren't I? Let me get back to you on this one. Oh, and never fear: there will be photographic, videotape, and other documentary evidence of the above-mentioned activities posted here on the blog. I am nothing if not accountable. And motivated to get you guys to donate. Seriously, if all you have is $5, that's millions to a kid who hasn't eaten in a day or two. I've got a few food-related posts coming your way next week. One is all about preserving lemons, Alinea-style, and the other is an adaptation of a salsify dish. Until then, you can read my recaps of Top Chef All-Stars over at The Washington Post, and you can kick a few bucks to Share Our Strength. C'mon... you know you want to. This is my fourth Share Our Strength fundraising campaign, and to date, the most urgent. When I first started raising money for SOS, the numbers were hard to hear: 12 million kids were food insecure, meaning they went to bed not knowing if they would have anything to eat the next day. Then, that number climbed to 15 million when the economy tanked in 2008. Last year, the number was 17 million. This year, it's gone even higher. More than 17 million kids -- nearly 1 in 4 American kids -- go to bed at night not knowing where their next meal is coming from. I know I say this every year, but THAT'S NOT OKAY. It upsets me to think that there are families without neighborhood, family, community, or church support where food is a priority. Just stop for a minute and think about that: 1 in 4 kids is hungry in America. One in four. Kids who are hungry are more susceptible to chronic illness and disease, and they don’t succeed in school. And, as our national economy continues to weaken, and more and more parents become unemployed, this problem will only get worse. There's a stigma around this whole issue, too... and there are so many families out there who you wouldn't think are having food challenges, but are. They don't want to talk about it, because they're embarrassed it's happening to them. They make enough money to pay the rent or mortgage, but due to job loss, disability, or other factors, are barely scraping by because they don't qualify for food stamps or other support. They don't have family in the area to help, and are too embarrassed to ask for help from anyone else. The only meal their kids get is lunch at school. Families who fall through the cracks need our help, too. I feel so incredibly lucky to have clients who keep me employed, but I know just like anyone else, nothing in life is a guarantee, and none of us ever truly knows when and if we might need help someday. But right now, I'm writing this with a full belly, a warm house, a roof over my head, and safety and security in knowing I can and will eat tomorrow. So, I want to help those who might not be as lucky as I feel. 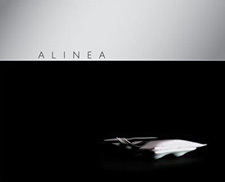 … and a donation coming our way from Chef Achatz and Nick Kokonas at Alinea. The Original King Arthur Flour Cookbook, Commemorative Ed. No matter what your donation, $5 or $5,000, everyone will have a chance to win an iTunes giftcard, and a few other giveaways still in the works. A big, big THANK YOU to Wiley Publishing, The Washington Post Food section, and Dorie Greenspan for their generous book donations. And, I'm giving away some of these prizes BEFORE the campaign ends on January 16, so donate early and often. Last year, we raised just a little over $10,000 in donations, and I'd like to try and do the same this year. You might remember that, last year, to get us past some specific donation milestones, I ate cilantro, oysters, tripe, celery, and durian -- all foods that still kind of skeeve me out just a little bit. I also tap-danced in front of the White House. -- Something with music and singing, preferably out of tune. In public. So tell me, what can I do to make you give, Give, GIVE? Remember, your donation is tax-deductible (Share Our Strength emails a confirmation receipt for tax purposes). 1) If you're watching Top Chef All-Stars, I'm doing commentary about the show on The Washington Post's All We Can Eat blog. I'll Tweet the direct link when it goes up every Thursday morning. 2) I'm kicking off my fourth annual fundraising campaign for Share Our Strength later this week. Some pretty amazing and generous people have donated some fantastic giveaways for those who donate, so I'm looking forward to seeing how much money we can raise. 3) Thank you all SO MUCH for your amazing insights and advice on kitchen renovations. Wow. Such great ideas for what to do and what to avoid. I got the estimate ranges back from the contractor -- who has renovated both bathrooms in my house, so he knows about all the weird structural quirks we're inevitably going to run into -- so now it's time to hunker down and save A LOT of money (oy) and hopefully get started by this time next year. They cooked in a 180F/82C waterbath for 2 hours. While they cooked, I made the parsely root purée. I can't believe I've never had parsley root before. Or, more accurately, that I've never made or consciously ordered anything with parsely root. And just like I'm kicking myself for not embracing salsify sooner, I feel the same way about parsley root. Why? Because it's really, really good. I peeled these guys and cut them into 1/2" chunks. Raw, it tastes like parsley-flavored celery, only less bitter, but just as "green" if that makes sense. I put the chunks into a saucepan with some cream and salt, brought it to a boil, and then let it simmer for 30 minutes until the parsley root pieces were tender. When the parsley root was done cooking, I strained them through a fine-mesh strainer, saving the hot cream. I put the chunks into the blender, and slowly added some of the reserved cream to make a silky purée. I strained the purée through a clean fine-mesh strainer and rewarmed it later when it was time to plate the dish. I also braised brown and yellow mustard seeds in water, sugar, salt, and white wine vinegar by bringing it all to a boil for five minutes, then turning off the heat, covering the pot, and letting the seeds plump up as they absorbed the moisture. I blanched the parsley leaves in water and salt, then blended them on high speed in the blender with some simple syrup, salt, and Ultra-Tex 3. I strained it through a fine-mesh strainer into a squeeze bottle and refrigerated it until it was time to plate the dish. I strained it through a tamis into a squeeze bottle, are stored it in the refrigerator until it was time to plate the dish. The last thing I had to do was deep fry the salsifies. The photos of this dish in the book are beautiful. The deep-fried salsify looks like a beautiful, golden daddy longlegs just waiting to be eaten. The book gives pretty detailed instructions on how exactly to cut the salsify to be able to render a gorgeous outcome. And despite the fact that I am literate and can usually follow instructions, I had a hard time envisioning these cuts. So, I stared at the now-cooked salsifies on the plate, waiting to be finished, and just tried to figure it out. And I hope you can hear me laughing, because it's all I could do when they ended up looking this sad and wistful when they were done. I had to lay them on top of shot glasses to get them to take any kind of shape. And, while I was doing that, some of them stayed in the hot oil a little too long, resulting in an unexpected and yet totally pleasureable outcome: Salsi-fries! Man, this project can be so humbling at times. I began plating the dish with a few blobs of the smoked salmon purée (which had the texture of mayonnaise, so, um, YUM), a tablespoon of parsley root purée, some braised mustard seeds, parsley sauce, and some fresh parsley tips. If you're following along in the book, you'll see I didn't include the mini black radish strips. I couldn't find a black radish anywhere, so I skipped that step altogether. I'd already tasted each of the components as I made them (and loved every single one on its own), so I decided to smush everything together on the plate to get a taste for how they all went together. We all really liked this dish. The kids at the table liked the salsi-fries and ended up dipping them into the parsley root and salmon purées. The mustard seeds and roe added a really nice and strong textural and flavor boost to the dish, and the lemon zest bolstered the flavor of the salsify, which surprised me. Salsify still doesn't taste like oysters to me, but rather more earthy than a potato and less bite-y than a turnip or parsnip. But the lemon zest made the salsify taste more pronounced, somehow, and really helped tie the whole dish together. I really liked how this dish came together, but the standout element was the parsley root purée. So much so, I went to Wegmans and bought another bunch of it and made a parsley root mash the next day. And, I'm thinking it'd be really good in salads, and just roasted along with some potatoes, carrots, and rutabagas. Mmmmmmmm, parsley root.... Have you ever cooked it or made anything with it? I'm curious. Or, have any of you tried making salsify yet? I've got a bunch more leftover, so I'm thinking there are some salsi-fries in my future. Resources: Salsify, parsley root, parsley, and smoked salmon from Wegmans; 365 butter; canola oil, thyme, and garlic from HMart; David's kosher salt; Monini olive oil; Natural by Nature heavy cream; Ultra-Tex 3 from Terra Spice; brown and yellow mustard seeds from the Takoma Park Co-op; Terra Medi white wine vinegar; BLiS smoked steelhead roe. Music to Cook By: Kanye West; My Beautiful Dark Twisted Fantasy. I've decided I don't care anymore if Kanye acts a fool in the media, because this album is excellent. It's rare these days for an artist to release an album that I want to listen to from start to finish. Instead, they put together an album with 3 singles that can chart, along with a bunch of filler. That's not the case with My Beautiful Dark Twisted Fantasy. His writing is better than it's ever been, and the megalomaniacal Kanye I love is back in his best form yet. Read My Previous Post: What do you love about your kitchen?